"From a Gourmet Chicken takeaway restaurant in 1994 to the Gourmet Express charcoal grill in 2000. Husband and wife team Ali and Amira invite you to their latest food adventure in South Wimbledon." Last week, I dined out at the extraordinary AYA Lebanese restaurant in South Wimbledon. I had been to this restaurant before once, but this time I wanted to share my experience, my thoughts and photos. I am yet to do restaurant reviews, but they are definitely something that I would love to start doing more as I am always reading reviews to find places to go and new cuisines to try. For me, Lebanese food is one of the freshest, most flavoursome and most delicious cuisines on the planet and AYA definitely ticks all of those. The restaurant have a BYOB system in place that allows you to bring your own alcohol into the restaurant, so you can bring your favourite drinks that will complement your meal. Otherwise they have a selection of soft drinks and fruit juices available if you prefer. My recent trip to AYA was on a Friday night with my Dad and 2 of my brothers. From the minute you walked into the restaurant, you are greeted by such warm and welcoming staff. Small things like this make a restaurant experience 10 times better and really gets the evening off to a good start. Within a couple of minutes of being shown to your table and seated, one of the lovely waiters brings over some delicious and fresh warm Lebanese bread, alongside a duo of delicious dips. The dips consist of a delicious garlic sauce and a spicy tomato based sauce. Both of which are so delicious and addictive. We managed to munch our way through numerous servings of these, as the staff regularly top these up for you when they see them empty. Isn't this great?!! After we had some time to look through the extensive menu, we all decided on a few starter dishes to begin the meal. AYA has a good range of starter dishes ranging from cold starters or warm starters which gives you the chance to sample many difference dishes and flavours. Between us, we opted to choose four starters to get our taste buds tingling. Starter number one was the Soujouk. This is a warm dish of spicy pan fried sausages stuffed with lamb, garlic and chilli, served with some tomatoes and a wedge of fresh lemon. The sausages have such a spicy, warming taste, you can really taste the fresh garlic coming through. Starter number two was the Calamari. Pan fried squid with garlic, chilli, peppers, coriander and lemon. The Calamari is hands down one of my favourite starters I've tried from AYA. The squid is cooked to perfection. No rubbery, chewy texture. It simply melts in the mouth. The accompanying flavours really enhance this dish and bring it to life. Something new to try on this visit to AYA was the Lamb Sambousek. These are deep fried pastries filled with minced lamb, spices and onion. These were incredible, especially dipped into that delicious garlic sauce! The pastry was so crispy and golden, and the filling was so juicy and soft. It was a match made in heaven. I would definitely have these again! Finally we opted for the Kraidis. Another of my favourites from AYA. These are pan fried prawns with garlic, chilli, pepper, coriander and lemon - the perfect flavour combination. The prawns were so fresh and meaty and juicy. I could eat a whole plate of these pretty easily! After the starters had been devoured, we were given some more bread and dips to nibble on whilst we waited for the main courses to be brought out. Three of us opted for the AYA Mix Grill and my brother picked out the Kharouf Mehsheh. The Kharouf Mehsheh is one of AYA's speciality dishes. You receive a deliciously juicy and soft lamb shank served with carrots and minced lamb rice. The lamb shank is to die for. So tender and juicy, it literally falls off the bone. On a bed of fragrant spiced rice, the flavours just merge effortless together to give you a real taste of Lebanon. The AYA Mix Grill is not for the faint hearted. You are served up skewers of lamb and chicken shish, minced lamb kebab and slices of lamb and chicken shawarma. It's every meat lovers dream. Cooked to perfection, the meats are so juicy and tender, they just melt in the mouth. We then chose to order some traditional Baklava. A sweet dessert pastry made of layers of filo filled with chopped nuts and honey. These were absolutely beautiful. So light yet sweet and crunchy. The perfect way to end out meal! If you're looking for a new Lebanese restaurant to try in London, you need to visit AYA. AYA offers sophisticated dining with a trendy atmosphere, warming hospitality and a delicious, creative menu. There is a great choice of fantastic dishes, each one fresh and tasty. The hardest part will be going through the amazing menu and deciding what to order next! Have you tried Lebanese cuisine before? What are your favourite Lebanese restaurants? "It's official: London is the most popular destination for tourists in the world"
London. A capital city. A destination surrounded by a multi-cultural environment. The heart of some of England's top tourist attractions and venues. The place I have called home for the last 22 years. As a city that could possibly have anything/anywhere you would like to do/go, such as free attractions to visit, cheap restaurants to eat at, vast amounts of parks and discounted tickets for lots of top attractions, it's a great destination to spend your time in! 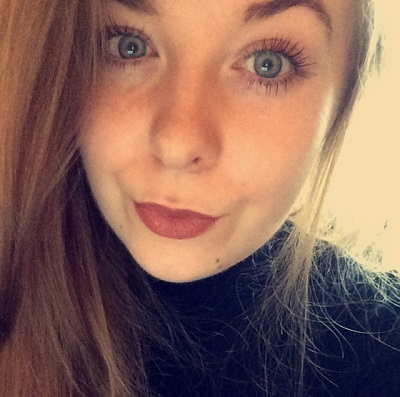 I previously wrote a blog post titled "Budget Days Out in London" where you will find a whole list of places that I would recommend you visit and some of my favourite attractions whilst in London. In collaboration with Snapfish, I have chosen to create my very own poster personalised photo calendar*, where I wanted to share with you some of my favourite London tourist attractions and places I recommend you to visit if you get the opportunity. 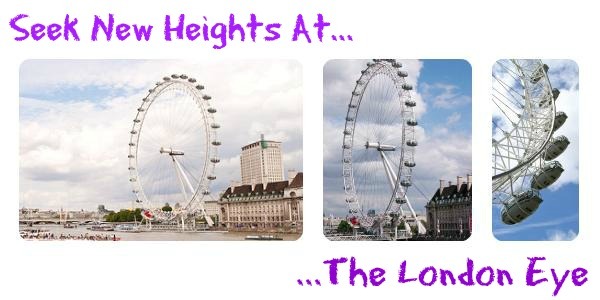 With the likes of The London Eye, The Shard, The Tower of London, to name a few. Snapfish poster calendars retail between £4.99 and £24.99 depending on which size you choose, and you can add and customise up to 30 photographs, which I think is such great value, especially for the quality and wide selection of design options. I think these would make such great gifts, that you can keep at home or at the office, and personalise them to fit your certain tastes. Whether you want to use this type of calendar to include your latest holiday photos, your Instagram snaps or some more personal photos, ordering a personalised photo calendar is a great way to display and remember those memories. If a poster calendar is not for you, Snapfish also offer a wall, desk and kitchen calendar! Have you used Snapfish before? What are your thoughts on the calendar I have created? 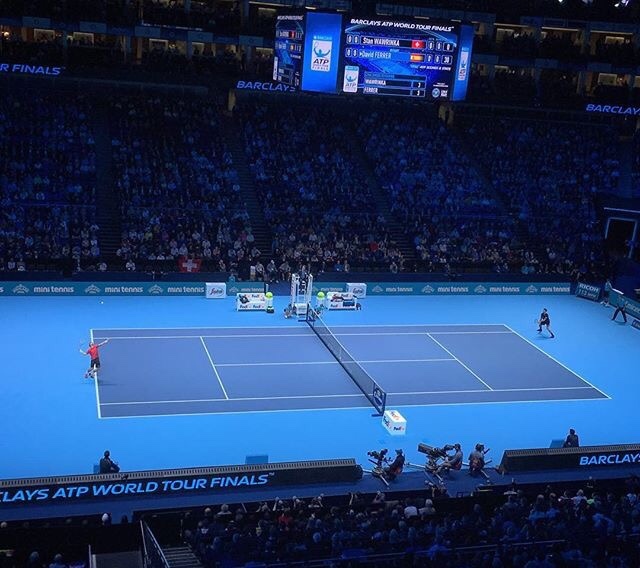 The ATP World Finals is a professional men's tennis tournament played on indoor hard courts and is held annually in November at the O2 Arena in London, United Kingdom, featuring the top seeded 8 male singles players, as well as the top 8 male doubles. 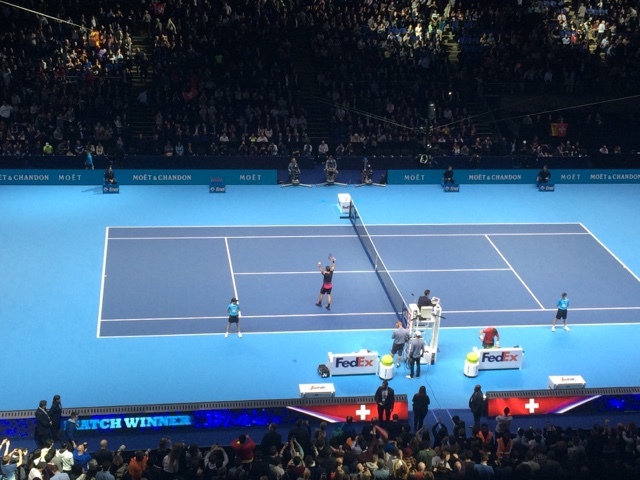 This year, the 8 males who took part were Rafal Nadal, Roger Federer, David Ferrer, Andy Murray, Stan Wawrinka, Kei Nishikori, Tomas Berdych and Novak Djokovic. 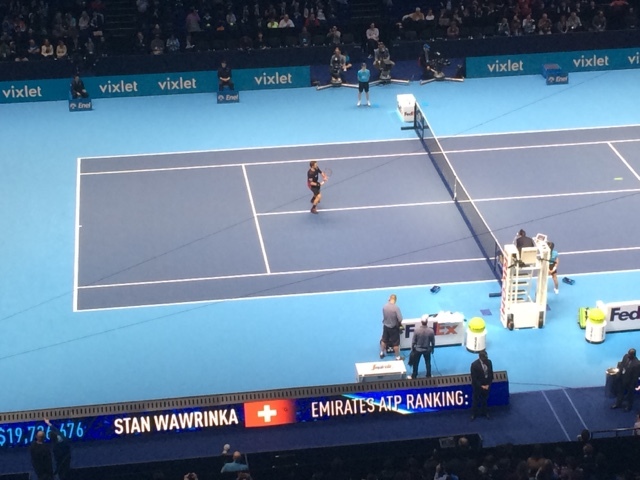 As some of you may be aware, if you follow my Twitter, on Wednesday 18th November, I attended the Barclays ATP World Tour Finals, held at The O2, London, where I had the chance to watch both a doubles match and a singles. 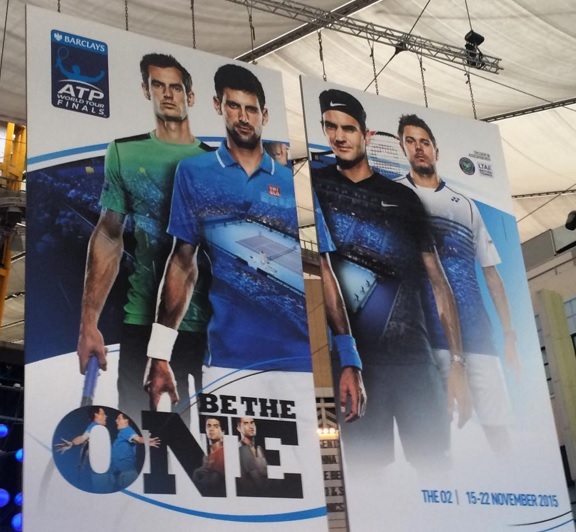 On the particulate day I visited the O2, I managed to watch the doubles match of Jean-Julien Rojer/Horia Tecau vs Ivan Dodig/Marcelo Melo, and the singles match of Stan Wawrinka vs David Ferrer. All players I'd never watched at this tournament before, so I was very excited to seem them all play. I wouldn't say I'm the biggest tennis fan, but I have had the chance to go to this for the past couple years, and the atmosphere there is just phenomenal! 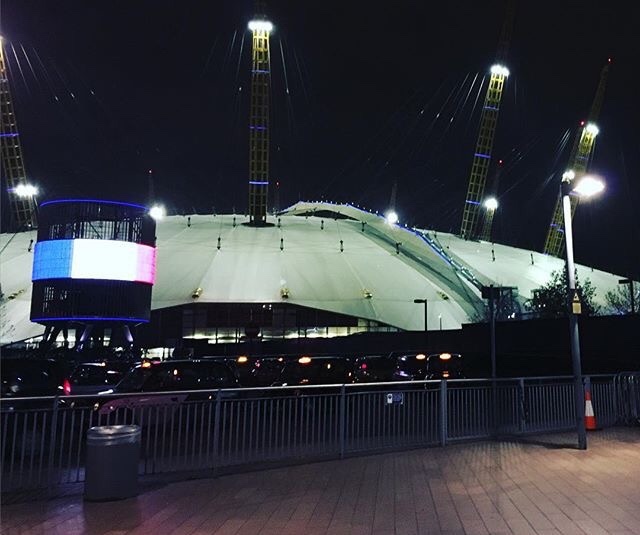 The crowd is always so involved and energetic, it's like a whole new world inside the 02. It's insane! 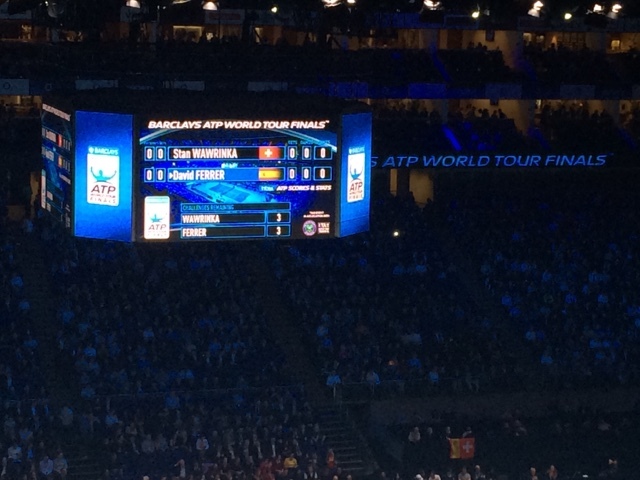 If you have the chance to attend the ATP World Tour Finals, I'd totally recommend! Are you a tennis fan? 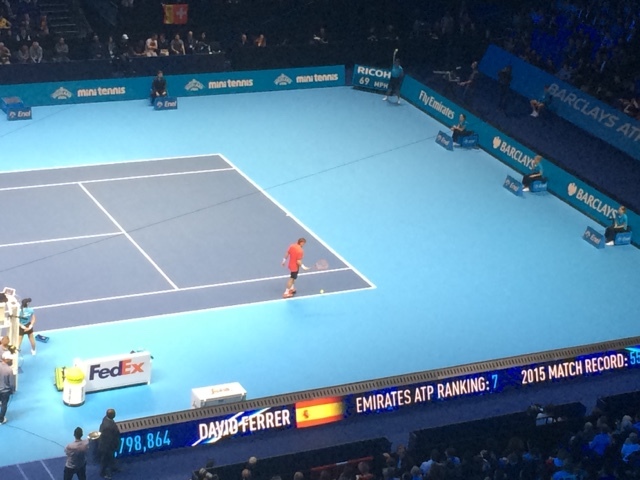 Have you previously attended the ATP World Tour Finals at The O2 London? Despite having quite the expensive reputation as a city, a day out in London doesn't have to cost a lot of money. There are a huge variety of free London attractions to visit, cheap restaurants to eat at, vast amounts of parks and discounted tickets for lots of top attractions! So whether you’re on a tight budget, or just want something to do for the afternoon, keep reading to find out some ideas for a cheap day out in London! Make the most of London's open spaces and royal parks with a picnic! With spring on its way, the weather getting a little warmer and more suitable for outdoor activities, a picnic in the park is a great way to spend the afternoon and perfect occasion to spend some time with your loved ones, relax and have a good gossip with your girl friends. London features 8 royal parks; St James’ Park, Regents Park, Hyde Park, Richmond Park, Bushy Park, The Green Park, Greenwich Park and Kensington Gardens, which are such beautiful, picturesque locations for a relaxing and refreshing picnic! 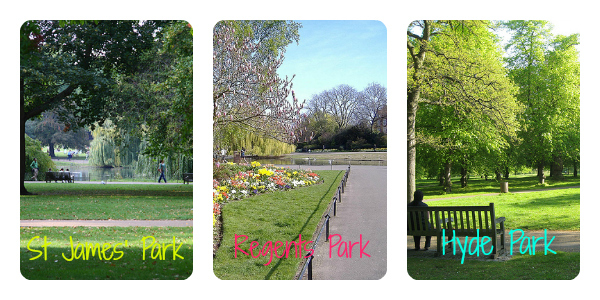 A personal favourite would be Hyde Park, where you can enjoy your homemade lunch and go for a little stroll along The Serpentine! Preparing some homemade snacks is a perfect way to keep this outing to a small budget and not spend a great amount of money on food and drinks. From homemade sandwiches and cute cupcakes to chocolate cookies and healthy salads, as well as sausage rolls, pasta dishes and a tasty fruit salad, the possibilities are endless! Some of London’s biggest attractions can come with quite the hefty price tag, but throughout the year, there are many chances to snap up a 2 for 1 ticket to save you some money! 2 for 1 tickets and offers allow you to have an enjoyable, fun day out, without it costing an arm and a leg, so you don’t need to worry about having an empty bank account! 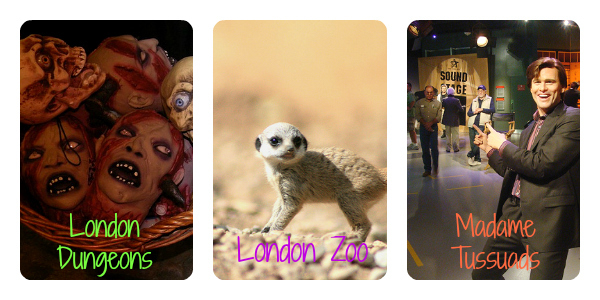 Whether Thorpe Park, London Zoo, Madame Tussuad's, London Eye or The Aquarium is your thing, you will be able to find plenty of these 2 for 1 offers in newspapers, your local supermarket or more easily on the Day’s Out Guide, with 150 locations and attractions; you shall be spoilt for choice! A shopping spree in London doesn’t have to be expensive, especially if you know the best places to go! London is a host to such a variety of interesting and beautiful markets, with Camden, Portobello Road and Spitalfields firm favourites, as well as Brick Lane and Borough Market, sticking to a budget can be easily achieved with some bargain shopping. 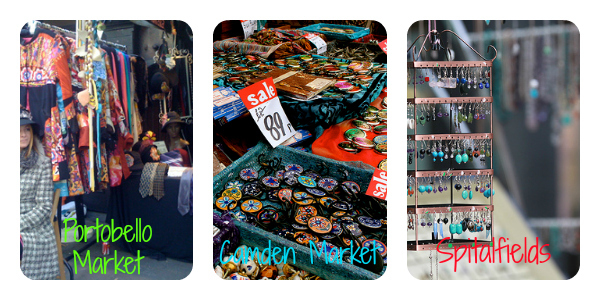 Whether you’re looking for some adorable ornaments or stunning homemade jewellery or just for a casual browse, there is definitely a market perfect for your tastes! 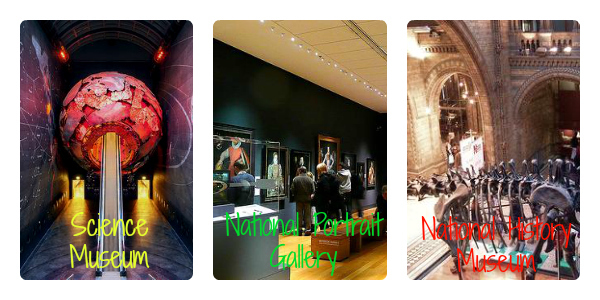 Finally, if something more intellectual and inspiring is more your thing, London is home to over 300 museums and galleries, where most of these have free entry! With a massive variety, including The Victoria & Albert Museum, The Saatchi Gallery, The Science Museum, Imperial War Museum, and plenty of others to choose from, visiting museums and galleries is a great opportunity to gain some extra knowledge in a specific field, as well as having an exciting and fun packed afternoon, without spending a penny! (Except on specific exhibitions or a cheeky purchase in the gift shop) Whether history, science, culture, art or design is your thing, London delves into the history of everything from astronauts to Da Vinci to boats to war and lots more! So whether you’re looking to save yourself some money on a day out in London, or just want some inspiration of places to visit, hopefully this little budget guide has inspired you to do something different on a spare afternoon, or to go somewhere that interests you or your hobbies. Where are your favourite budget places to visit? Will you be visiting any of the places featured in today's post this summer? This is a slightly different post to my usual ideas but let’s face it... How many of us find it difficult to find a perfect place for an afternoon date, that isn’t just your standard grab a coffee, go for lunch or have a walk in the local park? Even if it’s your first date with someone new or just a special day out with your partner/friend, you want something that’s going to be fun, enjoyable and definitely memorable, for the right reasons! You want a location where you can spend time with your date, get to know them, experience something new, have a conversation and most importantly enjoy yourself and feel comfortable! Below I have featured a variety of locations where I believe the most exciting, relaxed and perfect dates can take place! 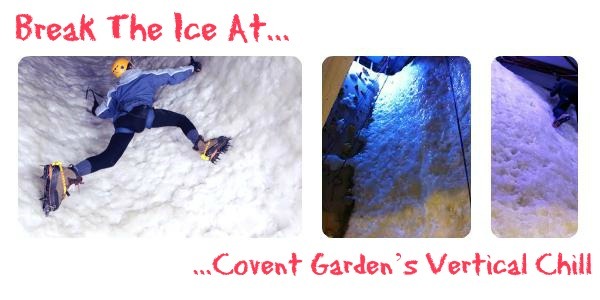 Vertical Chill, an indoor ice climbing wall situated inside “Ellis Brigham's Tower House Covent Garden Store” is perfect for those who like a challenge! With chilly temperatures reaching between -5°C to -7°C, scaling this 8m ice wall is perfect for those who like an adrenaline fuelled and fun activity. The Vertical Chill wall ranges in a variety of steepness, ‘from a pleasant slab to a drastic over-hang with everything in between’, so ideal for a beginner or someone who likes a challenge. 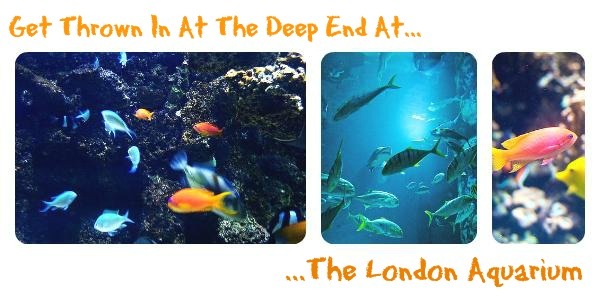 The London Aquarium, located on the South bank of the River Thames is a great place to get up close and personal with ‘one of Europe’s largest collection of global marine life’. From sharks to rays to lobsters to jellyfish and piranhas, as well as penguins, clownfish, crocodiles, turtles, seahorses and coral, you’ll be able ‘to see thousands of sea creatures in over 2 million litres of water’. Amazing right?! If you want something unusual, surreal and pretty damn cool, a trip to the aquarium is the perfect attraction to make some amazing memories and experience something like never before. 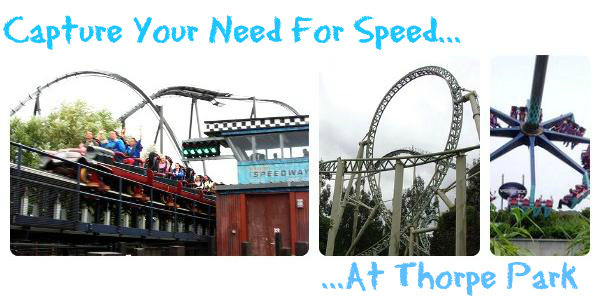 Thorpe Park, home to over 25 rides and attractions, is the perfect location for a fun and thrill seeking date. Face your fears, experience the unknown on the crazy loops and twists on Colossus, brave it backwards on The Swarm, experience extreme speed on Stealth and enjoy the wet and wild Tidal Wave! Share a scary experience, with non-stop adrenaline action at Thorpe Park, because dating is way more fun when you're both being big kids again and enjoying a roller coaster or two! Built as part of London's millennium celebrations, this is a very popular tourist attraction located alongside the South bank. With the experience lasting 30 minutes, you will be able to view many famous landmarks, including Buckingham Palace, Big Ben, St. Paul's Cathedral and the Houses of Parliament. If you’re not scared of heights, and want to see London from a different perspective, this is definitely something for you! 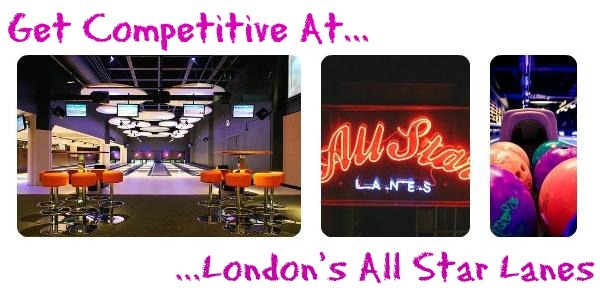 If you want to experience an afternoon date with a difference, the All Star Lanes is definitely perfect for those who enjoy more of a casual, laid back vibe, as well as those who like a bit of competition! This location is perfect for a fun and relaxing afternoon date, having a couple of games of bowling, a few drinks and a bite to eat, this could potentially be an amazing first date idea, without an awkward silences and a boring experience. Whether you’re looking for a relaxed and chilled out location for a date, or something more exciting and fun fuelled, hopefully this little guide of some of London’s more unusual, exciting and perfect afternoon date locations has inspired you. So ditch the coffee dates and lunch time rendezvous, and go for something more action packed and adventurous, where you’re bound to have a great experience, an amazing afternoon and a date to remember! Where would you go on an afternoon date? Have you been to any of the places I have featured today?